No sooner than my wife uttered the words Cauliflower Pizza I was screaming “NO!!”. I’ll admit, I was quite the the food snob about this and fought her all the way but boy was I wrong! 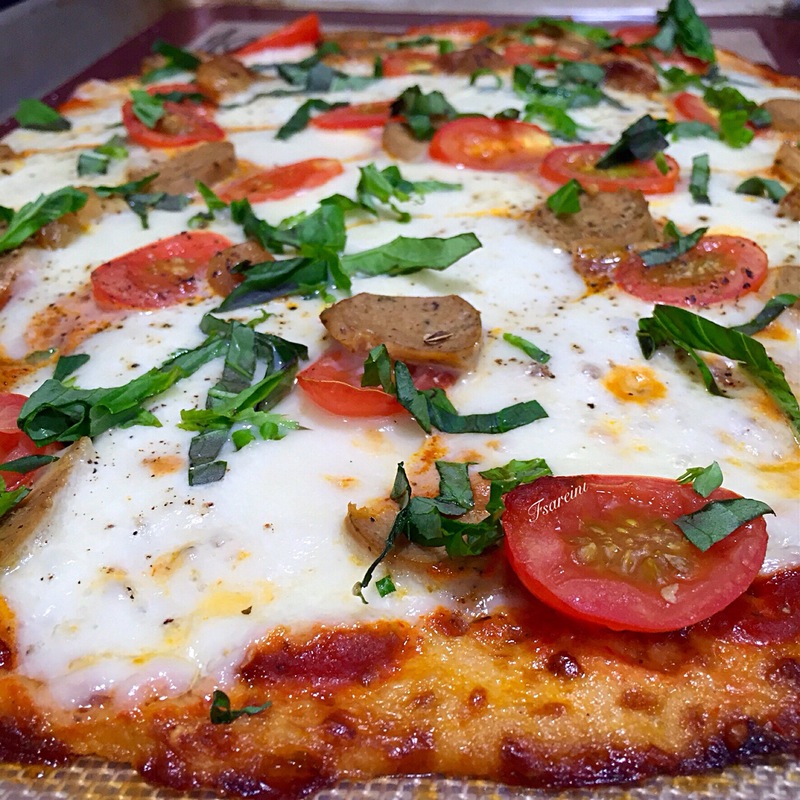 This is a delicious low-carb, gluten-free pizza that will go toe to toe with any regular pizza! Yes the cauliflower will smell in the process of making this pizza but I assure the end result will not have that strong sulfur smell or flavor that cauliflower is notorious for. Regardless of what diet you may be on, this recipe is a must try! Grate the cauliflower using a food processor on pulse until you have 2 1/2 cups of cauliflower crumbles. Place in a large bowl and microwave for seven to eight minutes, or until soft. Remove from the microwave and let cool. Top the pizza with the sauce, two balls of fresh, sliced mozzarella, grape tomatoes, garlic, red pepper flakes and any of your favorite toppings. Bake in the oven until melted and bubbly, another 10 minutes. Top with basil before serving.